You might be thinking, “Okay, it’s good to have a good set of criteria for my ideal customers, but what real impact can this make for me?” Today we’re going to answer that question! You can utilize your buyer personas by segmenting your customer or prospect list into these few personas you’ve created. While we touched on the difference between segmentation and buyer personas in the last post, we’re going to bring it back full-circle today. It’s definitely possible to segment without personas handy, but it sure does make it a lot more efficient and probably more accurate to have these personas fleshed out in front of you when deciding who to send a promotion to. For example, if you’re wanting to send out an email promotion on skid steers to a group of prospects who specifically use these, having this group segmented out will save time when putting together the email. Personas can help you generate your content. 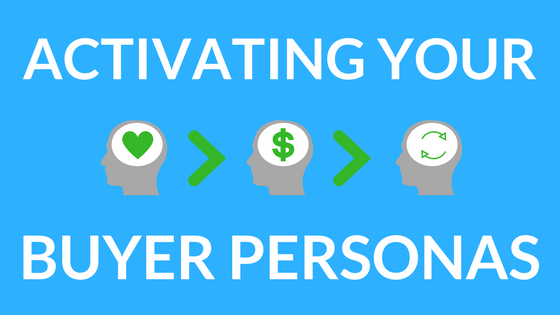 Whether or not you are currently creating useful handouts or other types of collateral for your customers, your buyer personas can make doing so a piece of cake. By looking at goals and challenges facing different customer types, it is simple, yet powerful, to address these things as a resource, generating customer loyalty for your business. For example, if one persona of yours often experiences issues with a certain type of equipment, addressing this issue and talking about how you can provide service is a great way to build a customer relationship. For your sales team, your personas should shape the tone and topic of the conversations they have. If your sales team is able to categorize a prospect into a buyer persona upon their initial impression, they can more effectively sell to them with their behavior in mind. Similarly, when working with current customers, customer service reps can tailor their conversations towards customers who fit a particular description and are likely to behave a certain way. Your buyer personas should dictate the emails you send, the calls-to-action on your website, and the overall design and user experience of your website. While some content, such as emails, can be customized and segmented for different customer groups- which we talk about here– other online marketing assets, such as your website, should be molded to fit the largest majority of your buyer personas, to create engagement and ease of use. For instance, if the majority of your target audience is southern you might insert some language into your website content that reflects this and engages them such as “Howdy” or “Y’all”. For more tips on activating your buyer personas, or creating them, comment below and we’ll be in touch!